Thirteen years ago, as a new manager in the Strategic Planning department at The New York Times, my boss shared an article about what it takes to transform your organization into one that's “data-driven." As someone who loves numbers, I was thrilled. Data means rigor, in both thinking and processes. I knew it was critical for evaluating where we were and where we wanted to go. Now, with more than ten years under my belt at the Times, and another three at Google, I have a more nuanced view of the complexity required to become truly data-centered—particularly what it means for people, processes and the technological obstacles that must be overcome. It’s this appreciation for the power and challenges of mastering data that drives much of our work with the Google News Initiative. And today, we're introducing a suite of new resources and programs to help news organizations with their data, including using data to drive business decisions, creating foundational data strategies and understanding data capabilities and gaps. A year ago, we launched News Consumer Insights: a report built on top of Google Analytics that helps news organizations of all sizes understand and segment their audiences with a subscriptions strategy in mind. Thousands of news organizations around the world, including BuzzFeed News, Business Insider, Conde Nast and Village Media, have used this tool to measure, understand and grow their businesses. Today, we’re launching a new, free insights tool called Realtime Content Insights (RCI), built to help newsrooms make quick, data-driven decisions on content creation and distribution. Journalists will be able to identify which articles are the most popular across their audience and what broader topics are trending in their regions. RCI also helps newsrooms visualize their data with a full screen display mode. It’s now available for publishers using all versions of Google Analytics. RCI’s “Newsroom View” feature, which displays in full screen real-time data from your top articles. Last year we also launched Propensity to Subscribe, a signal within Google Ad Manager based on machine learning models, to help publishers identify who’s likely to pay for content and who isn't. Publishers can use this signal to present potential subscribers with the right offer at the right time. We’re making progress on our propensity modeling: early tests from our model suggest that readers in the top 20 percent of likely subscribers are 50 times more likely to subscribe than readers in the bottom 20 percent. As of today, we’re in a closed beta of product development with 11 partners, including the Washington Post and McClatchy. We plan to integrate this signal within Subscribe with Google later this year. As with the GNI Subs Lab announced last week, we’ll share best practices with the broader community of news organizations. The first step to improving your data capabilities is understanding where you are compared to other companies in your field. That’s why today, in collaboration with Deloitte, we’re introducing a Data Maturity Benchmarking Tool that will help publishers assess their data maturity, compare themselves to other news organizations and take steps to improve. The tool accompanies a new report published today by Deloitte that examines how news and media companies can use data to increase user engagement on digital platforms and drive value through the monetization of those platforms. 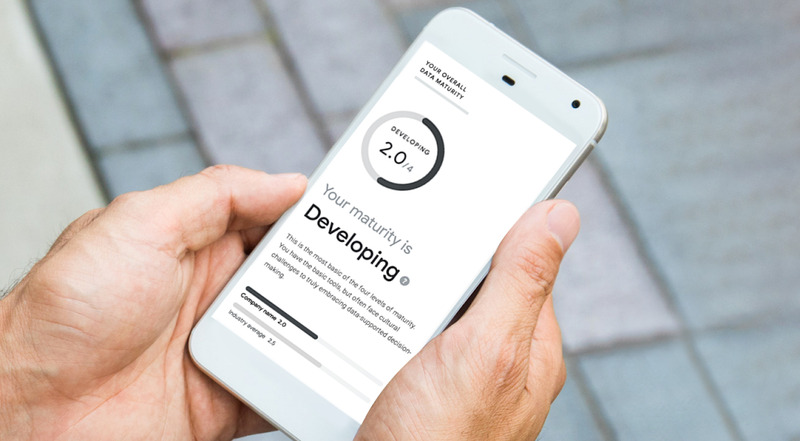 The Data Maturity Benchmark, which shows news companies how they score on data maturity. Those of us working on the Google News Initiative believe that data, if used securely and responsibly, is a key contributor to news organizations’ digital success. To learn more about our data tools, you can access the new Realtime Consumer Insights tool here, take the Data Maturity Benchmarking assessment here, and download the Data Activation guide here.